Lock in a great price for Pegasus Spa Hotel – rated 9.4 by recent guests! 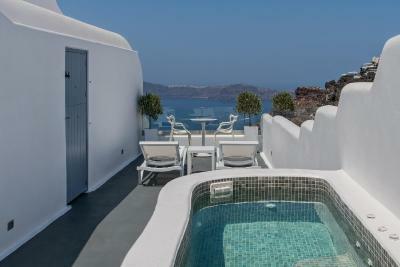 Our room was to die for, the view of the caldera was amazing and we were able to get a clear view of the sunset. The hotel staff was so friendly and accommodating to all our needs. They provided little goodies every night and welcomed us with complimentary champagne and a bottle of wine. A great experience to end our honeymoon in Greece. 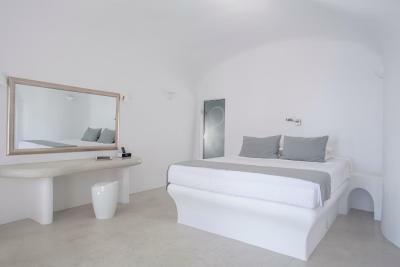 Super friendly staff, John in the restaurant, Leni at reception, Vera our housekeeper. 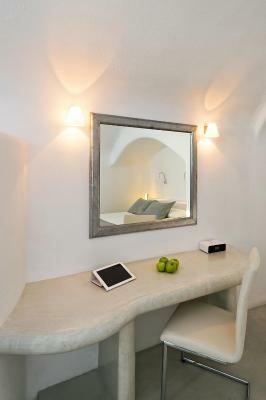 Location is perfect in the center of Imvergioli town, close to Fira. Nice restaurant on property. 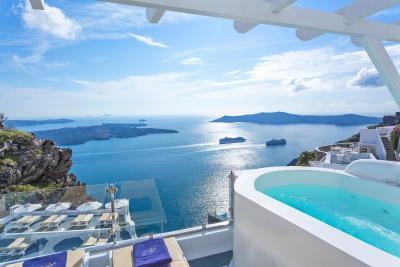 Amazing views from all the rooms. The staff was excellent! We loved the location and the facility. Breakfast was our favorite, pool was warm, pool bar had excellent service and menu. 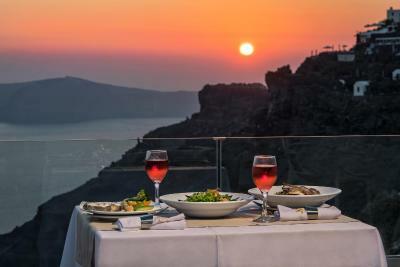 Dinner while enjoying the sunset on property was a highlight! 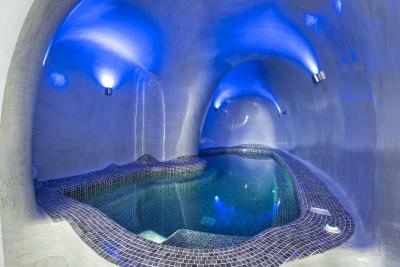 We would recommend to anyone that wants a stress free get away! The staff were so friendly and helpful. Everyone went out of their way to make sure we were happy. The property was so beautiful, so quiet, so peaceful. Everything was very clean and comfortable. We were very happy with our stay at Pegasus...highly recommend it. The staff here is what makes this property so special. Everyone goes out of their way to make your stay memorable. The location is perfect for shops and restaurants. 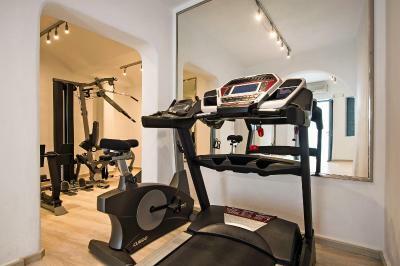 The property is well maintained and is spotless and very loved and taken care of. This was our dream trip to celebrate 30 years of marriage. We never expected the experience to be as beautiful as you see in the travel brochures with the blue domes and pristine white buildings. Thanks to the wonderful staff, the incredible facilities and cooperative weather, our trip was better than we could have imagined. Pegasus Suites was FANTASTIC!!! The best hotel experience I have had!!! The openess and friendly greetings, helpful tips and eagerness to assistance from staff, they were super courteous and respectful. The pool area with that view and manned bar was also amazing! The small little welcome/goodbye gifts aswell as every evening evening liquors and chocolate were also a great touch. You really feel like hanging out at this hotel to chill out and watch the cruise ships go by all day. We had an issue with our new travel card however they were so fantastic and patient with us as we had to wait till our bank opened. 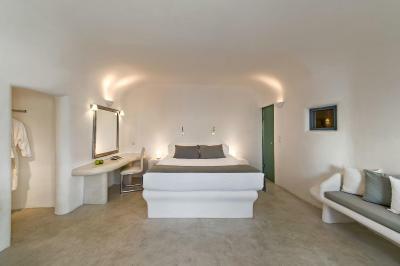 Offering a heated pool and a spa center, the Cycladic-style Pegasus Suites & Spa is located in Imerovigli Village. 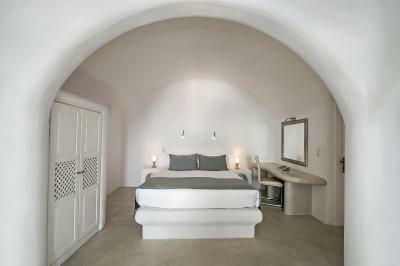 It features elegantly decorated accommodations with Aegean Sea and volcano views. 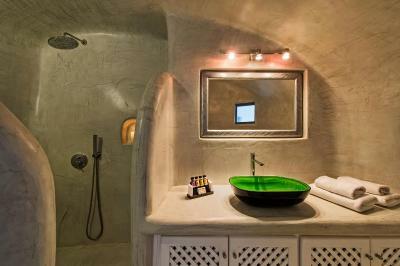 Facilities include a restaurant and free WiFi in public areas. 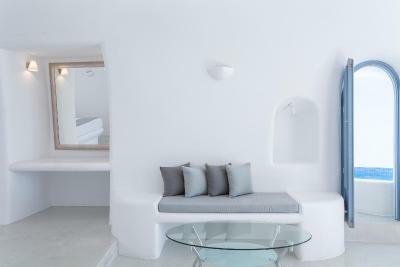 Opening to a furnished balcony, all white-washed and air-conditioned suites of Pegasus have a seating area with flat-screen, satellite TV. 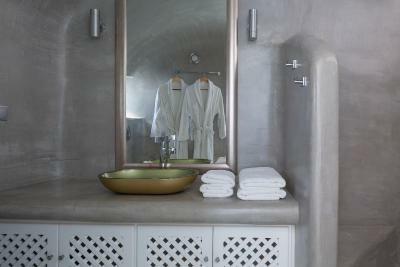 Each is equipped with a mini-bar, as well as a private bathroom with free toiletries and bathrobes. 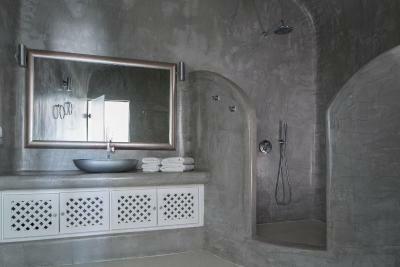 Some come with a private or plunge pool, a spa bath or a hot tub. 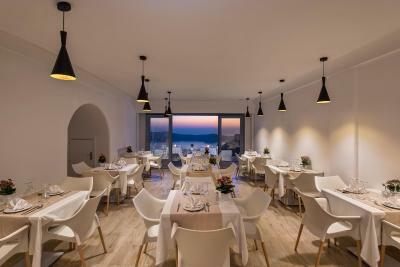 Guests may start their day with an American breakfast or a glass of wine from the on-site wine bar, while watching the sea and pool views. A restaurant provides options for lunch and dinner. 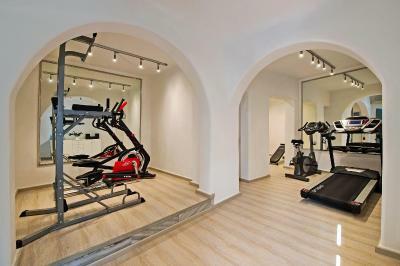 The property’s fitness center is available to those who wish to keep fit. 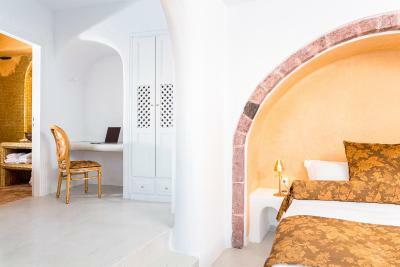 A spa and wellness center, featuring sauna, indoor pool with hydromassage facilities and several massage treatments is accessible upon charge. 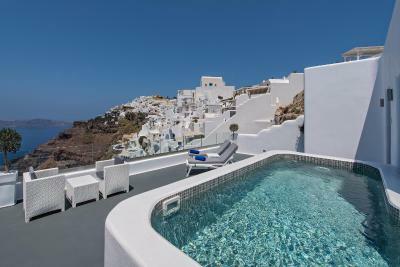 Fira Town, the island’s scenic capital, is a 20-minute walk away and Pori Beach is at a distance of 1.9 mi. 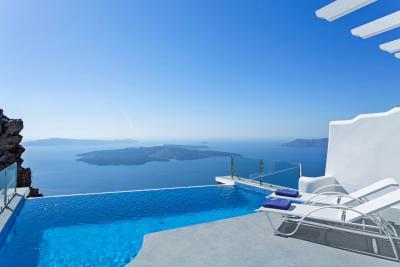 Santorini National Airport is 4.3 mi away and Athinios Port is 5.6 mi away. 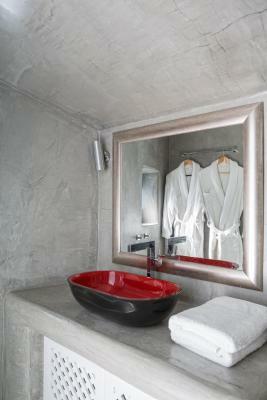 When would you like to stay at Pegasus Spa Hotel? 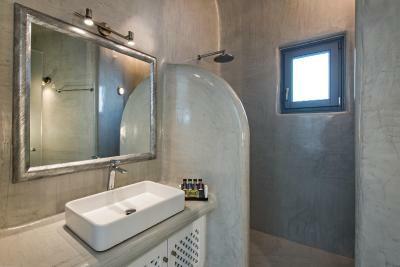 -a private bathroom with free toiletries and bathrobes. 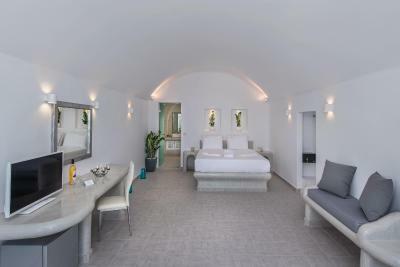 Featuring a private plunge pool, this suite features a mini-bar, as well as a private bathroom with free toiletries and bathrobes. 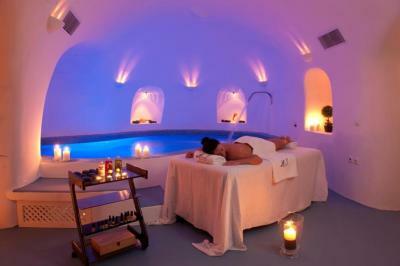 House Rules Pegasus Spa Hotel takes special requests – add in the next step! Pegasus Spa Hotel accepts these cards and reserves the right to temporarily hold an amount prior to arrival. Please note that children cannot be accommodated in this hotel. Please note that the main outdoor pool is heated during April, May and October, while the private pools in the units are heated throughout the year. Spa was expensive and you had to pay just to use the sauna and steam room which to me is bad it should be free seeing as it’s so expensive to stay there anyway. Massage over priced too. 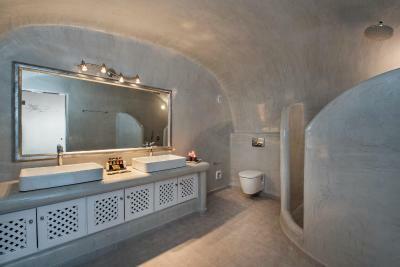 Unfortunately the bathroom needed an update and had a daily (absolutely faint) smell of sewerage. The staff at breakfast were so kind to ask us to provide feedback on which we did. It was solved every day with during ots clean however by the 24th hour it was always back. Mabye there is an issue with thier drains in the floor. Can't hold it against them too much as everything else was suburb and we could close the bathroom door. Just didn't feel as inviting is all. The room had a weird odor to it, it seemed like it was coming from the bathroom/water/faucet. Everything in Pegasus was perfect, it was the perfect place for our honeymoon. 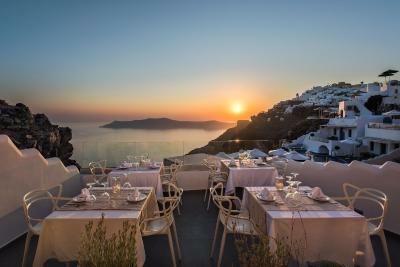 The location of Peagsus is the best in Santorini. This hotel is heaven on earth. the staff was really helpful and friendly. special thanks for Christine and Leni. Every night you will find a surprise in your room. Spa and Pool cocktails were fantastic!! We loved everything about this beautiful hotel. 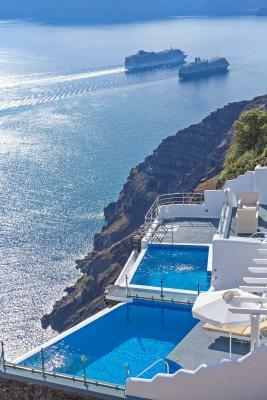 The views are stunning, and the location is perfect in terms of having a quiet, relaxed feel, unlike staying in the sprawling metropolis that is Fira. The rooms are spacious and comfortable and our hot tub was amazing, the best experience ever. Add to this a swimming pool that feels like a warm bath, delicious fresh, quality items at breakfast (love the orange cake!) and friendly, helpful and down to earth staff that just feel like friends, and that is just a quick summary of what Pegasus has to offer. On deck hot tub was a waste. Ice cold, tiny. Sulfur smell in the room was pretty strong, and vent fan required the bathroom lights to be on. Bed was great, can't beat the view. Staff did everything they could to make the stay the best possible.